Leafly helps you make sense of the plethora of medical marijuana strains available. ​Leafly.com, online for just over a year now, is a powerful resource which can help medical marijuana patients find the strains which work best for them. 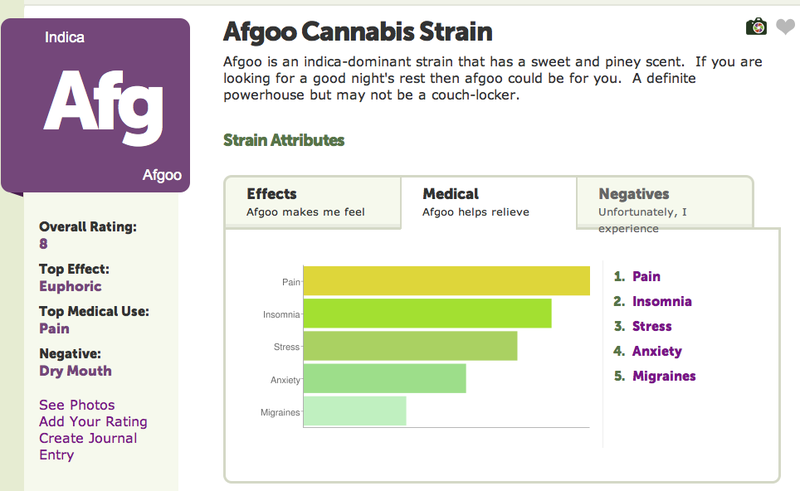 Since its debut in June 2010, patients have used the site to explore the dispensary options available and to match strains with symptoms. 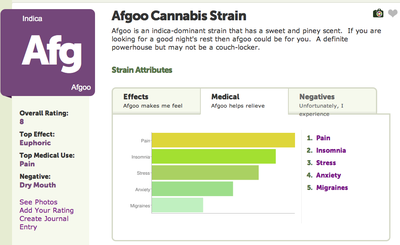 When I entered one of my favorite strains, Afgoo, Leafly told me the effects, medical uses, and where I could find it, listing five dispensaries from 10 to 35 miles away. Toke of the Town had a chance to chat with Mike Juberg, on the sales team at Leafly.com, about what the site has to offer. ​Toke: Tell me when Leafly got started, and what inspired its creation. Mike: We started building Leafly in March of 2010 shortly after receiving our medical marijuana recommendations. We were overwhelmed by the strain choices at dispensaries and had no good resources to help make an informed decision on which to try. We were also disappointed by the existing choices of dispensary locator sites. The majority are clones of each other and most suffer the same problems with speed and poor user experience; we knew we could do it better. After two months of weekend work we launched the site in June 2010 and the response has been tremendous. ​Toke: What is the most powerful feature available to patients on Leafly? 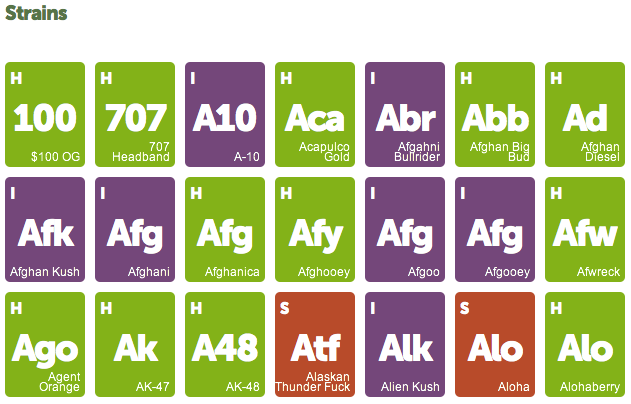 Mike: The most talked-about feature on our site is the explore page (http://www.leafly.com/explore). This is a great starting point for patients new to the mmj world. You can filter strains by their effects and drill down until you find one that best suits your needs. There is also the option of only showing strains available at dispensaries near you, so you are sure to find what you need. Toke: What’s the most important thing to know for patients new to Leafly? Mike: As a new patient the sheer number of varieties of cannabis within a dispensary can be a bit overwhelming. For participating dispensaries we have menus integrated with Leafly data to help new patients make selections best for them. New patients should also know that we take privacy very seriously. We have made conscious decisions at every step to ensure discretion. All aspects of the design intentionally exclude the iconic leaf image and pictures of bud are shown only on photo pages, so it won’t be obvious what you are looking at to coworkers glancing over your shoulder at work. To register for an account we don’t require an email address and all your profile information is hidden by default. You have to opt in to be public, which some people are comfortable doing and others are not. Toke: What’s next in Leafly’s future? 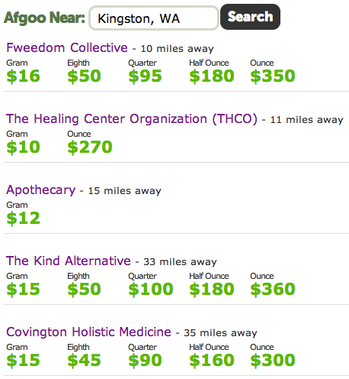 Toke: What makes Leafly’s dispensary offerings unique? Mike: While other sites only provide a means to advertise a dispensary we do that while also creating products that simplify their operations. Things like SMS services for patient outreach, social media integration, pushing menus out to multiple sites, and an unmatched analytics platform so they can track visitor trending over time. With more on the horizon we like to use our technological know-how to solve real problems that dispensary owners face every day.